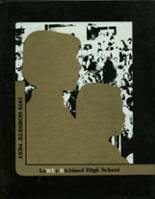 Listings of high school yearbooks for Lower Richland High can be found below. You will find former students who are seeking yearbooks, those looking to sell a yearbook and general yearbook requests among the Lower Richland yearbook listings. This yearbook section was created to help alumni post yearbook classifieds. I move and i misplace my yearbook and i want to see if i can get a new one. It's important for me to find and purchase a 1983 yearbook. Anyone knows where to find one? What would it cost to get a yearbook from 1983? Just wondering if you still have these old yearbooks. I am still wondering if anyone has a 1983 yearbook for sale. I graduated in 1979 but would like to have yearbook from 76-77,77-78, and 78-79. Is there any way to get them? 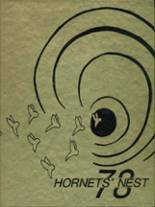 Looking for the 1973 or 1971 yearbooks.